This past weekend, I went to an NEH workshop at the Northeastern that was really exciting: Digital Methods for Military History. If you’ve been following along here, you’ll know that I don’t just love clothes, I also love history, and military history. There’s an amazing amount of work being done that looks at the past in new ways, and that can hardly ever be bad. I took notes both digital and analog, and tried to learn as much as I could. It’s all very exciting– I tried not to leap immediately to Map All the Data, but it’s hard not to. So much potential. 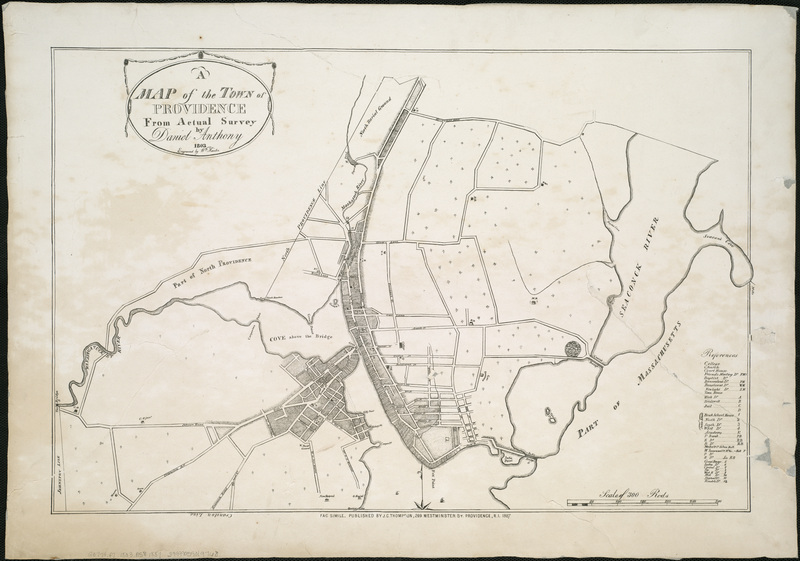 On Saturday, there were papers projects on Geographies of the Holocaust, and another on Viewshed Analyses of Iberian Fortifications— I’m mangling the title, for which I do apologize–but that last was so exciting. I began to see where the Young Mr’s love of gaming, history and warfare might come together to good effect in a scholarly way. I also saw how high school student projects mapping neighborhoods could build on work kids had already done collecting oral history narratives in grade school, and that really, high school students need digital toolboxes just as much as college students do. 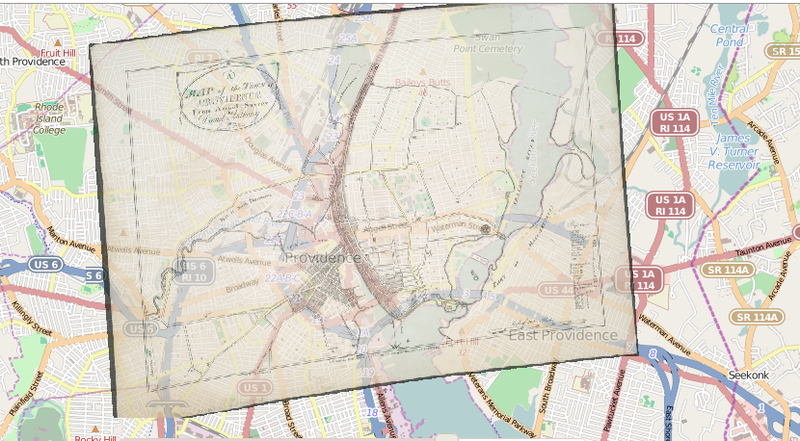 Georectified map of Providence, using Mapwarper. Friday’s papers on networking were also fascinating: both the Muninn Project and Quantifying Kissinger. Digging into social and temporal connections illuminates new angles on history, or even helps find and locate men lost in battle. (Easier to do at Vimy Ridge than Stony point, of course, but applicable nonetheless.) Kissinger and the word collocation analysis was funny as well as insightful, and I think the two are often found together. Word analysis gave a sense of Kissinger and his personality that you would develop more slowly reading every document, which is why you want a historian to do the work for you. A discrete project seems likeliest to work on something like Neatline, once I figure out how to deal with the Omeka issue. Neatline was like a mash-up of database fields and Illustrator, so I felt pretty at home. We also learned about Mapwarper, and georectification. That’s pretty cool stuff, too. 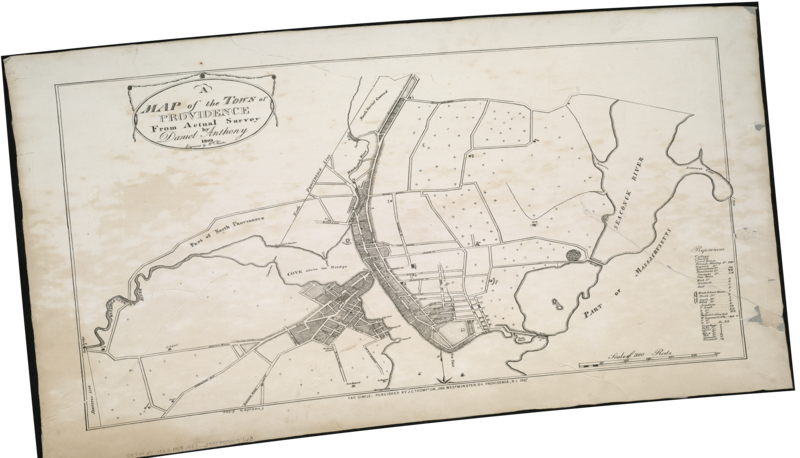 The process will require distilling the letters into data (places, dates, names); collecting maps; collecting data associated with the names– and that’s the easy part. I can imagine a map with clickable areas that link to letters, other images, stories– links building on links– but I haven’t sketched it all out yet, or even imagined a final product. First, I have to find a map. Mapwarper? That’s my son (in partnership with a couple of other guys). I thought you’d be amused to know that.